3 Bedroom Detached House For Sale in Sheffield for Guide Price £320,000. 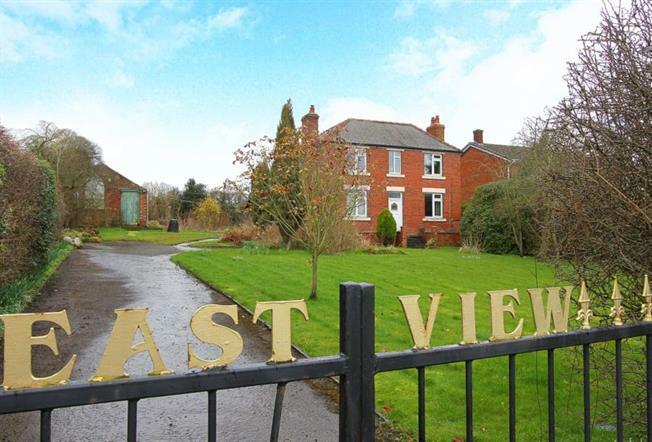 Offering enormous potential is this Three bedroom detached property, occupying a larger than average plot in sought after Marsh Lane the property offers far reaching views to the front and pleasant rear aspect. The property is in need internally of a scheme of refurbishment but offers superb potential subject to planning permissions to extend and create a superb family home. Offered for sale with NO CHAIN we strongly recommend a viewing to appreciate the properties full potential. In brief the accommodation comprises; to the ground floor the Hallway gives access to the Living room with feature fireplace, further family room/ Dining room with fireplace giving access to the Kitchen and store/utility room. To the first floor are three bedrooms and the family Bathroom. The property stands in well maintained lawned gardens both to the front, side and rear and has a generous driveway providing access to the detached Garage.